A bill has been enacted which authorizes a commemorative coin program to mark the 100th anniversary of the establishment of the National Park Service. The program will include $5 gold coins, silver dollars, and clad half dollars to be issued in 2016. Although bills had been introduced in both the House of Representatives and Senate to authorize the program (H.R. 627 and S. 1158), authorization comes from a section of H.R. 3979: Carl Levin and Howard P. “Buck” McKeon National Defense Authorization Act for Fiscal Year 2015, which was enacted on December 19, 2014. The purpose of the 697 page bill is “to authorize appropriations for fiscal year 2015 for military activities of the Department of Defense, for military construction, and for defense activities of the Department of Energy, to prescribe military personnel strengths for such fiscal year, and for other purposes.” Section 3055, which starts on page 517 of the bill, deals with the National Park Service commemorative coins. The section provides for the issuance of not more than 100,000 $5 gold coins, 500,000 silver dollars, and 750,000 clad half dollars with designs emblematic of the 100th Anniversary of the National Park Service. The gold coins would be struck in 90% gold and 10% alloy with a weight of 8.359 grams and diameter of 0.850 inches. The silver dollars would be struck in 90% silver and 10% copper with a weight of 26.73 grams and diameter of 1.500 inches. The half dollars would be minted in 91.67% copper and 8.33% nickel with a weight of 11.34 grams and diameter of 1.205 inches. Designs for the coins would be selected by the Secretary of the Treasury following consultation with the National Park Service, National Park Foundation, Commission of Fine Arts, and review by the Citizens Coinage Advisory Committee. The coins may be issued only during the period beginning on January 1, 2016 and ending on December 31, 2016. Surcharges in the amount of $35 per gold coin, $10 per silver dollar, and $5 per half dollar would be added to the price of each coin. These surcharges would be distributable to the National Park Foundation for projects and programs that help preserve and protect resources under the stewardship of the National Park Service and promote public enjoyment and appreciation of those resources. 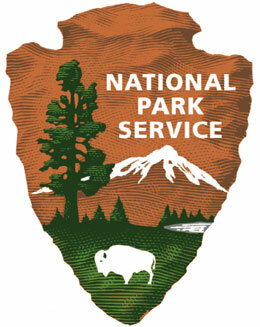 There have been previous commemorative coin programs which have focused on specific national parks or monuments. This has included programs to mark the 50th anniversary of Mount Rushmore National Monument in 1991 and to mark the 125th anniversary of Yellowstone National Park in 1999. The United States Mint is currently in the midst of the multi-year America the Beautiful Quarters Program which highlights a different national park or site from each state, territory, and the District of Columbia. The United States Mint is currently in the midst of the multi-year America the Beautiful Quarters Program which highlights a different national park or site from each state, territory, and the District of Columbia. Exactly so why this too? I am sure their are other more deserving as we are honoring them all with our circulating coinage. Any hint as to any sur charges going to pay down the National “defense” debt? I hate to say it this goes nowhere in a hurry. No one wants 100K, 500K,750K let’s be real folks. What do you get a smokey the bear on a coin lol.